Concrete mixer is the indispensable equipment in cement production. We are in the process of concrete mixer daily production, we should not only pay attention to the problem of mechanical cleaning, also notice concrete condensation problems within the concrete mixer. The clearance between mixing blade and the wall of mixer is too large, and shipping time is too long, so concrete condensation will appear in mixer. When you clean the mixer, you had better to pay attention to the small place. If there are concrete condensation, we suggest you remove it with small hammer. 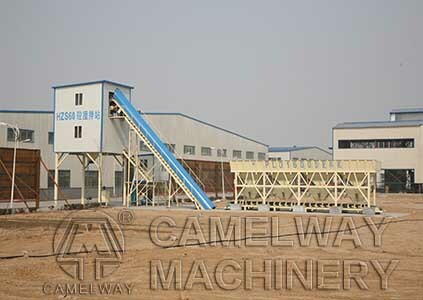 Zhengzhou CamelWay Machinery manufacture is one of the large-scale enterprise specializing in construction machinery and specialized in the production of concrete mixer for several years. Some products are exported to Vietnam, Laos, Kazakhstan, Mongolia, Russia, Cuba, Brazil and other countries. If you want to know more information about the concrete mixer or buy it, you can contact us.